We have lots of fun and entertainment at the Show, for owners and their dogs. All dogs are very welcome to the Fair as long as they are on a lead and well behaved! 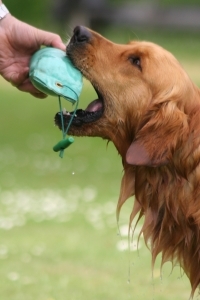 Please clean up after your dog - thank you. 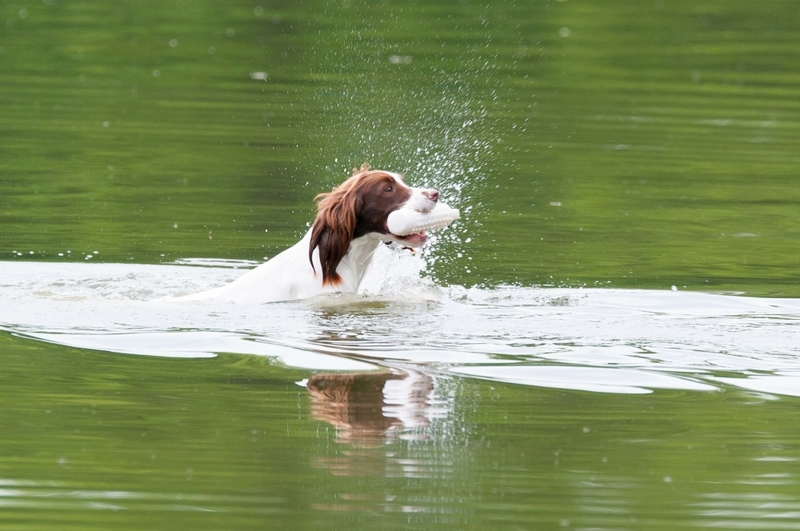 Join the Companion Dog Show classes or the Retriever & Spaniel Team Challenges, winning rosettes and prizes in all sorts of competitions. Visit the veterinary advice clinic, the gundog clinic, have-a-go at the dog agility course or watch the terrier racing. Kennel Club Licensed, organised by Jo Toms. 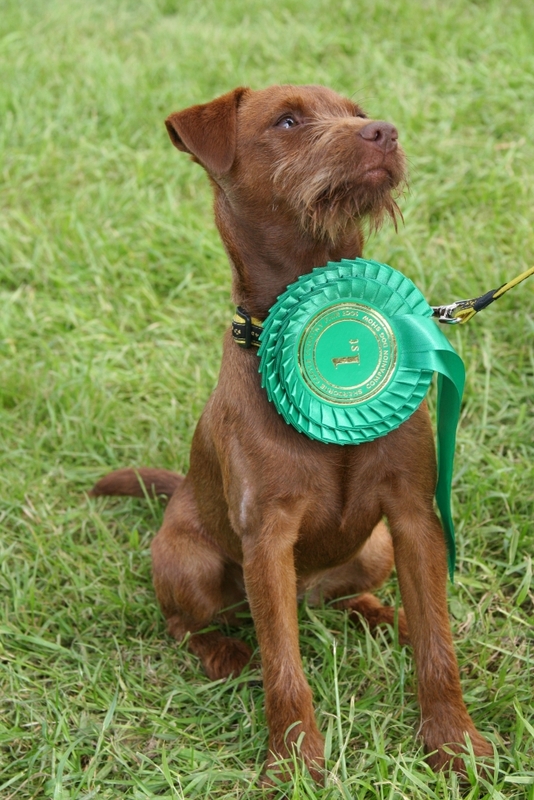 Entries for Pedigree Classes (£2.00 per dog per class) will be taken on site from 10.00 am. Judging will start in Ring 2 from 12.00 noon. 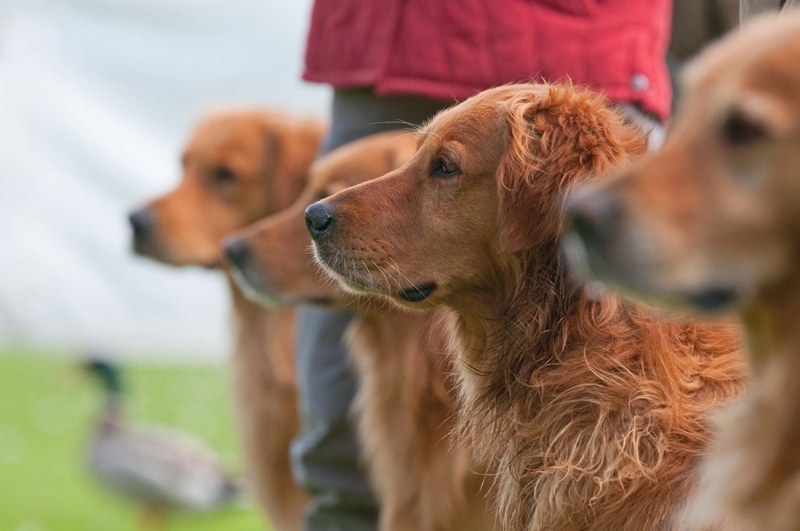 The Novelty Classes will take place in a separate judging ring and entries (£1.50 per dog per class) will be taken from 10.00 am with judging in Ring 3 from 1.00 pm. Rosettes 1st - 6th place in all classes. The 2019 schedule is available to download from this website (see the Latest News section on the right-hand side of the homepage). Unfortunately not all dogs are eligible: puppies under six months' old or dogs which have already won Challenge Certificates, Reserve Challenge Certificates or Junior Warrants cannot enter this competition. 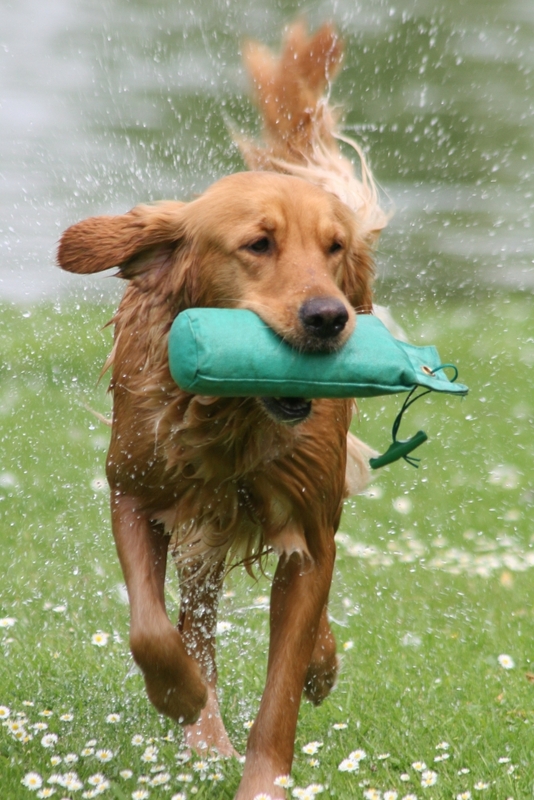 Krazy K9's Fun Dog Agility from Longburton near Sherborne will put their highly trained animals through their paces with displays at 11.30 am and and 2.00 pm in the Agilty Dog Ring (next to the Dog Show). They will also give advice on any problems you might be having training your dog and will be running have-a-go sessions over their agility course (£3.00 per go) during the day. 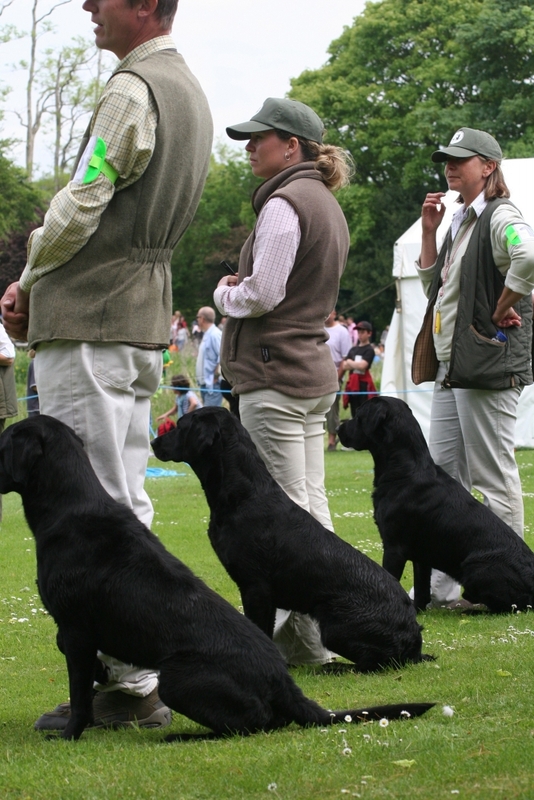 This is held in the Main Ring with a display and also a chance for you and your dog to 'have a go ...'. Open to any dog, entry fee is £2.00 for each of the scurries or £5.00 for all three. There will be prizes to third place for the fastest dog over each scurry and also the fastest dog with a young handler (16 years old or under) over each scurry. The Victor Ludorum Trophy will be awarded to the dog with the fastest time over all three scurries. The scurries are open from 10.00 am to 4.00 pm with the prize giving at approximately 5.00 pm at the Scurry Tent. 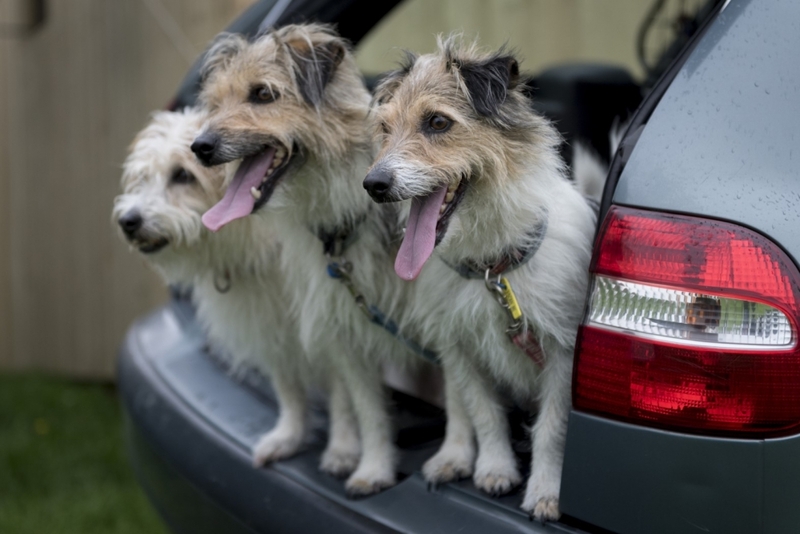 Taking place in the Deer Park, teams of four dogs take part in this highly competitive sport. Both sets of tests start at 9.30 am and take place in the Deer Park and also at the Lake. The parade of teams and prize giving takes place at approximately 4.15 pm in the Main Ring. Find out more. 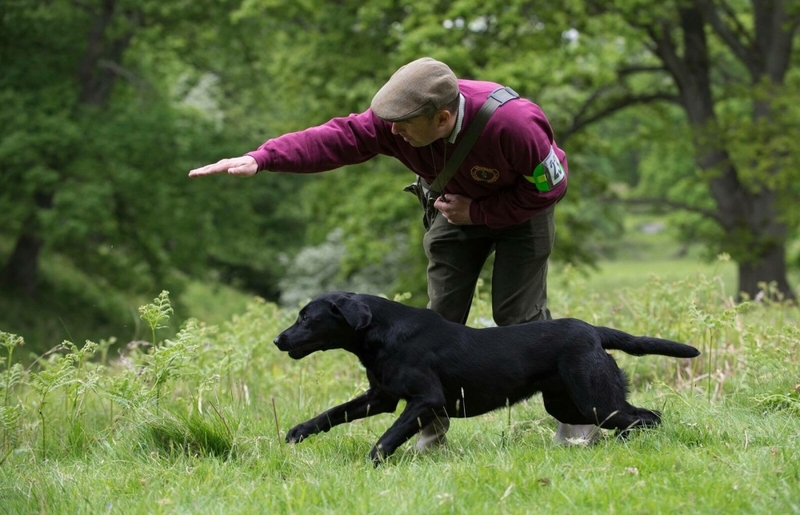 Watch the gundog demonstrations, overlooking the Lake, or take part in one of the gundog training clinics with Neil Varney. The first demonstration is at 11.30 am and is followed by clinics at 30 minute intervals. The clinics are bookable in advance. Find out more. The Newton Clarke Veterinary Partnership are the Fair's official small animal Veterinary Surgeons and have a stand in the Dog Show area. The team will be present on the day to give pet health advice and information and will welcome any questions you may have. For further information please contact the Newton Clarke Veterinary Partnership at Swan House, Sherborne, on 01935 816228. Or Wyndham Hill, Yeovil on 01935 474415. The Newton Clarke Veterinary Partnership have organised an eye clinic at the Fair with Nick Burden BVSc CertVophthal MRCVS of the Hale Vet Group in Chippeham, a member of the BVA/KC/ISDS eye panel. The test is primarily aimed at certifying dogs as affected or unaffected for inherited eye diseases. If you are planning to breed with your dog, get the KC Eye Certificate. The test includes a full eye examination and if non-inherited conditions are discovered then these can also be discussed with the owner. All tests are carried out under the BVA/KC/ISDS eye scheme and a certificate is issued. Gonioscopy and Routine Eye Examination (at the same time): £76.00. For further details and to book an appointment (at the Fair) please phone the Newton Clarke Veterinary Partnership on 01935 816228. 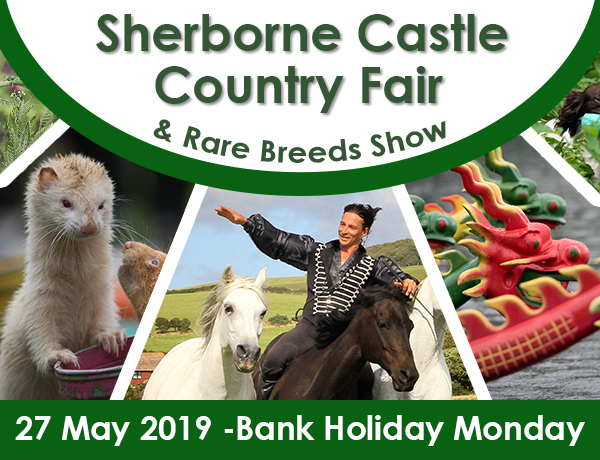 A full timetable of events is printed in the Fair's Show Programme, which is available to buy on Show day either at the pedestrian entrances or from the programme sellers on the showground.